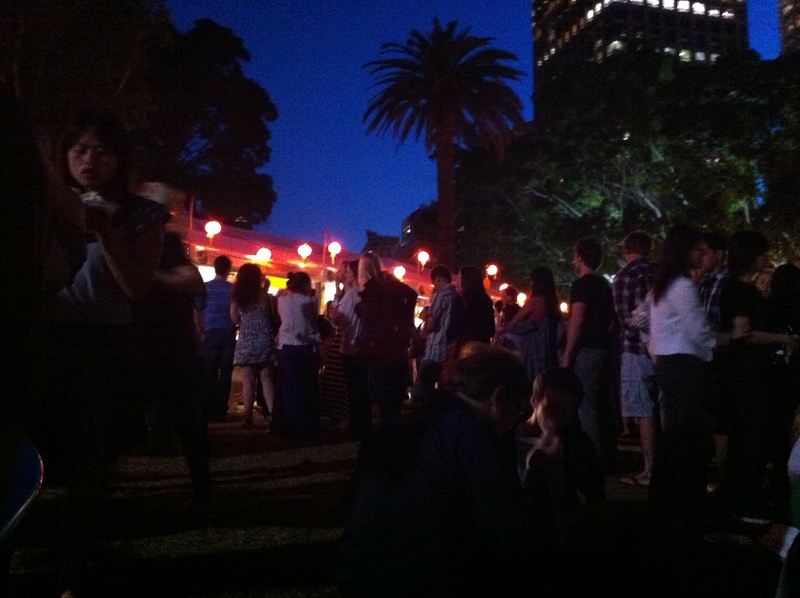 Every year as part of Crave Sydney International Food Festival the Night Noodle Markets are held at Hyde Park. I attended this year for the second year, however last year I hadn’t been diagnosed with coealic disease so could eat whatever I wanted. Noticing that the organiser of the Night Noodle Markets was on Twitter I decided to ask her if she had any suggestions of stalls that would have gluten free foods. She got back to me noting that the SpanThai stall should have some gluten free options. Looking them up I found that they aren’t a restaurant but make themselves available for markets, stalls and events. I found an email address for the company and emailed them to ask them whether they would have gluten free options at the markets. I was very excited to hear that they had two options that I could eat, the Pad Thai and the Saffron Chicken. After doing a lap of all the stalls at the noodle markets on Friday I found there were probably a few options of food I could eat but considering Span Thai were so helpful and the food looked amazing I decided to have a plate of Pad Thai and Saffron Chicken. To my delight the food was just as good as it looked! Overall it was a perfect night and great atmosphere – I just wish they held them more often! Did you attend the night noddle markets? If so what dishes did you try?